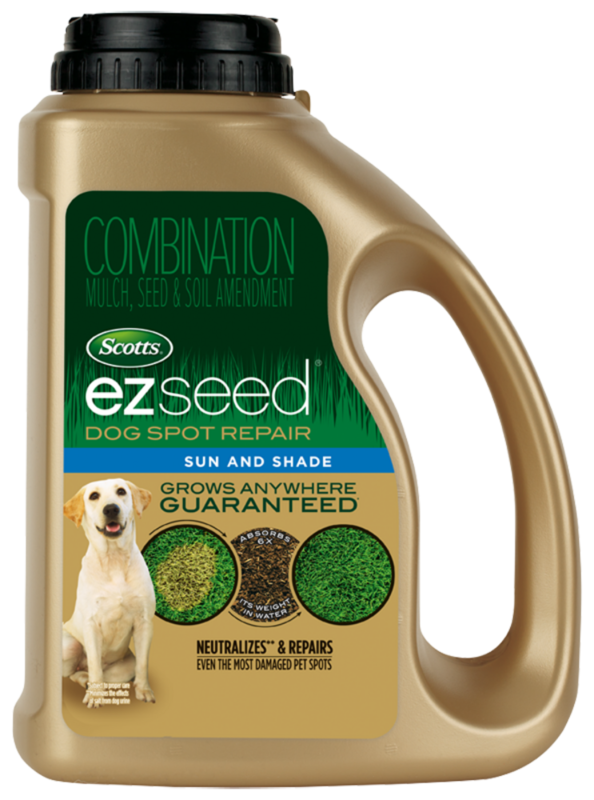 Scotts® EZ Seed® Dog Spot Repair Sun and Shade has a special salt neutralizer formula that minimizes the effects of salts from dog urine and helps repair up to 100 dog spots in your lawn! And it helps protect seedlings against disease. 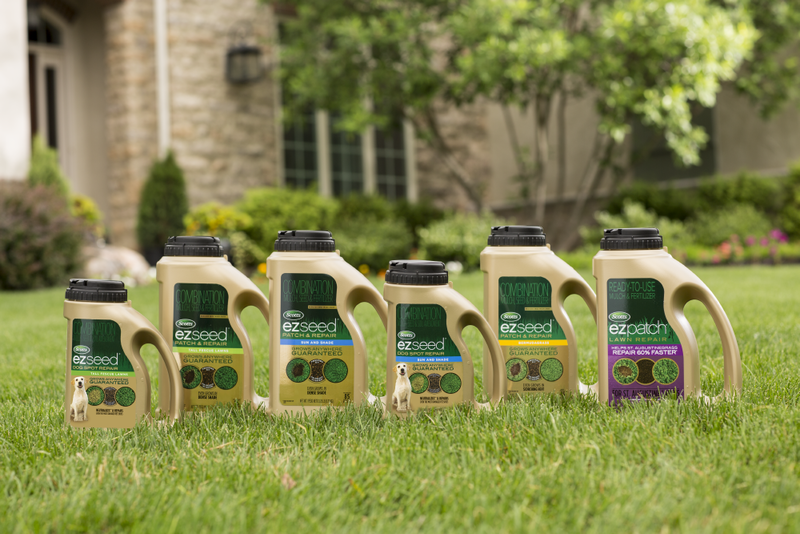 EZ Seed® Dog Spot Repair Sun and Shade contains renewable resources and is 99.9% biodegradable, so you're not only helping your lawn. 1. 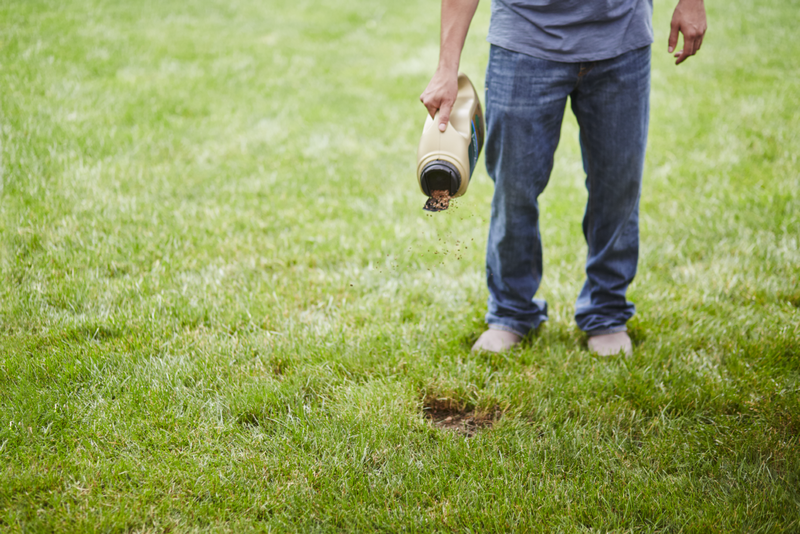 PREP - Simply prepare the area you want to grow grass. 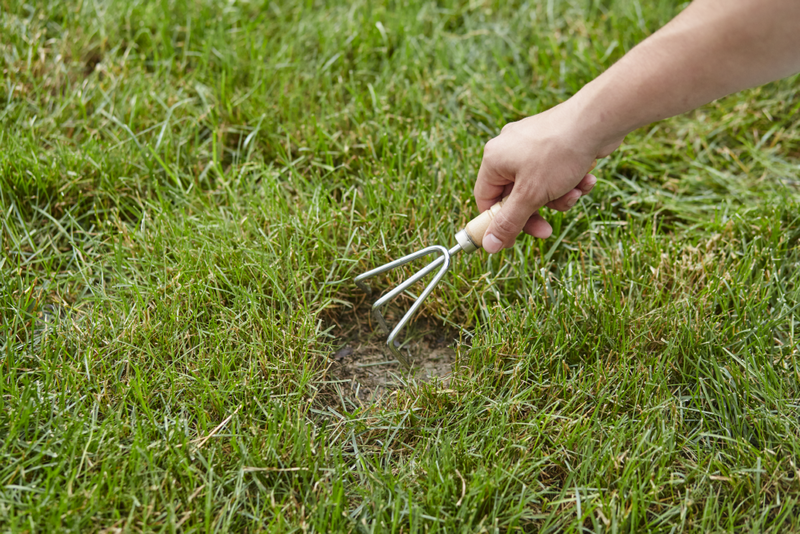 Remove dead grass and loosen hard soil to help tiny seedlings root. 2. APPLY - Evenly apply EZ Seed® so the area is mostly covered, but bare ground is still visible so that seed contacts the soil. The mulch will expand 4X upon watering to help cover the seed and keep it moist (Use half as much for thin areas). Only apply the recommended amount so that seedlings have enough space to access water and nutrients. 3. WATER - A deep and thorough initial watering is the key to success. 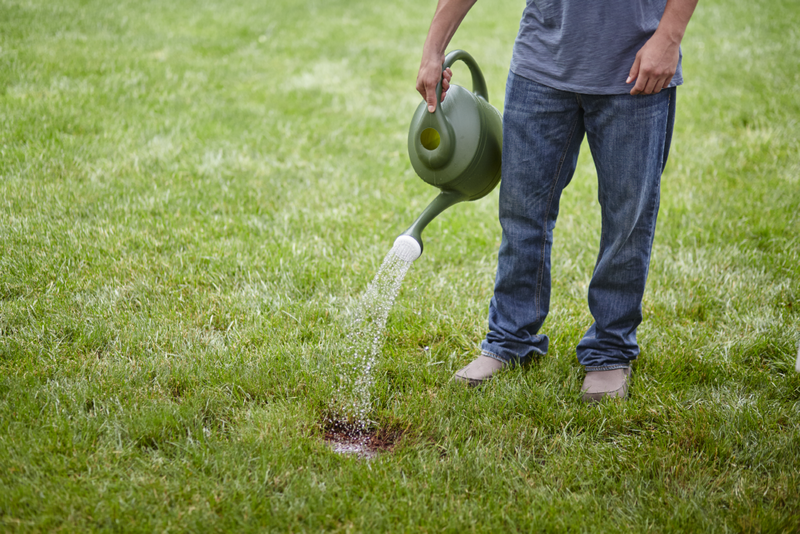 Gently water the area until EZ Seed® is completely saturated and no more water is being absorbed (may take several minutes). Avoid pooling water. When EZ Seed® begins to turn light brown, it's time to water again. Continue to water daily as needed to keep the soil surface moist until the seedlings reach at least 2 inches tall. Fall and spring are the best times to plant grass seed, because seed germinates best when temperatures are between 60°F and 80°F.